Do you find that your purchases are influenced by the products you grew up with? The products your mother used? 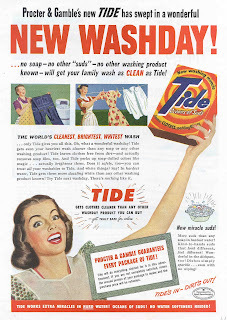 My mother, like her mother before her, used Tide and Downy exclusively for household laundry. It was really never anything we discussed. Tide and Downy as laundry choices were a given. Now, as a mother, I only use Tide and Downy products. Although, I will admit to trying an "off brand" laundry detergent as a starving student. Once was as long as that lasted. One other time, after being swayed by a cute snuggly bear, I also tried another fabric softener. Again, I went zooming back to my tried and true Tide and Downy. Detergents, soaps, she tried them all and wasn’t satisifed ... But now his shirts are dazzling clean! Smart girl ... she turned to Tide! What was "true" for my mother and grandmother, were also my laundry "truths". Tide and Downy work great, leaving my clothes clean, fresh and soft, just the way I like them. It's something I can count on. While I do seem a bit stuck in my ways, I do move with the laundry times. It took a bit of internal persuasion to make the conversion, but I did finally start using a Downy Ball. What a fantastic gadget that turned out to be! Now I'm on the precipice of yet another technological laundry upgrade. (And the timing is just right, as my 10 year old Downy Ball has just worn it's little self out). I recently received a Tide Retro Prize Pack from Procter & Gamble, to test out and share with my beloved readers. (Big smiles!) 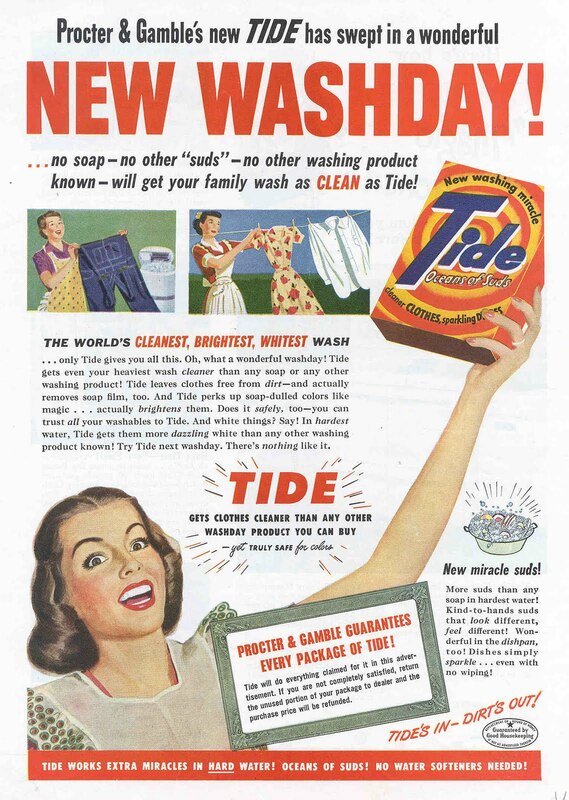 This coincides with a special promotion celebrating Tide's 65th anniversary ~ Tide is offering special edition packages with 1947 graphics, exclusively at Target, while supplies last! 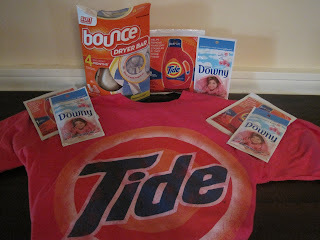 Along with a number of Tide and Downy samples, I received a very cool retro Tide tshirt and an innovative Bounce Dryer Bar. The Bounce Dryer Bar looked very interesting, but I'll admit, as a Downy liquid girl through and through, I had to warm up to it a bit before I actually put it to the test. The result: I love it!!! After putting it through several loads of laundry, I found that it works just as good as my beloved Downy, but has some clear advantages: primarily that once it's attached to the wall of your dryer, you can forget about it for FOUR MONTHS! Fabulous! While it will take a while for me to "learn" to stop reaching for my Downy ball, this advancement in streamlining my laundering is going to be greatly appreciated by the chief laundress in my house - ME! 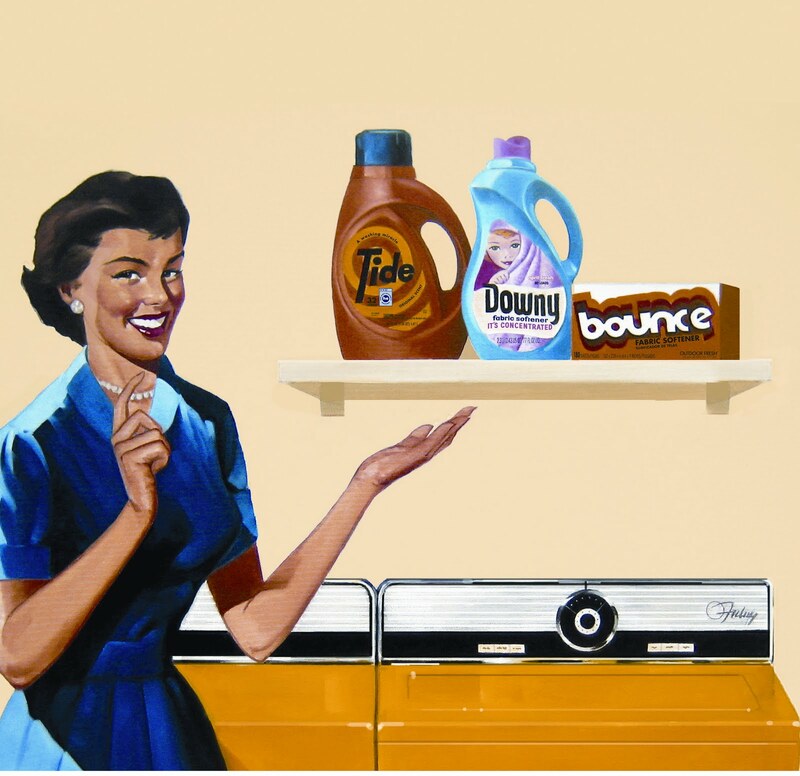 In celebration of Tide's 65th Anniversary, Procter & Gamble is generously offering my readers a chance to win a Tide Retro Prize Pack as shown above. Two lucky readers will win! In addition to sample of Tide, Downy and innovative, time-saving Bounce Dryer Bar, you'll receive a Retro Tide Tshirt, which is available in Blue, Green, Red or Orange, adult size large. This giveaway is open to residents of US, 18+ and will end on Tuesday, June 28, 2011 at midnight EST. The winners will be randomly selected from all eligible entries and notified by email. The winners will have 72 hours to respond before I must move on to runner ups. Please leave your email address, in anti spam format, in your first entry comment, if it is not available via your comment name, so I may contact you if you are a winner. Anti spam format is any layout that is not easily recognized by spam bots, such as tsue1136 (at) yahoo (dot) com. Note: To be eligible to enter this giveaway, you must follow That's What She Said publicly via Google Friend Connect (mid right sidebar). Tell me about the laundry products you can't live without or a laundry story in which your favorite laundry product saved the day. * Like Tide, Downy, Bounce &/or That's What She Said on Facebook, leave comment here with your Facebook name, 1 entry per each. * Explore the Tides of Hope program and then tell me here in a comment something you learned or appreciate about it, 2 entries. * Tweet about this contest, limit three tweets per day, 1 comment per tweet. * Subscribe to That's What She Said via email or RSS (mid right sidebar), 1 entry per each method. * Enter any of my other active giveaways, leave a comment letting me know which, 3 entries per additional contest. * Share this giveaway, with direct link back here, in some other method: blog it, stumble it, digg it, post on facebook, post on giveaway linky or other. Leave a comment for each time you share with a direct link to your sharing so I can find it. 5 entries per each. Handy share button at bottom of post. 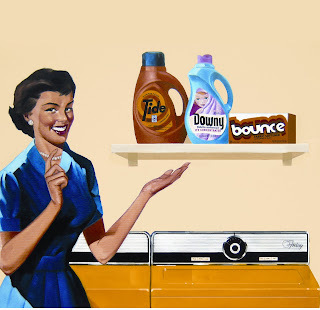 On behalf of Procter & Gamble, Tide and That's What She Said, thank you to all entrants for following and participating! I was provided with a Retro Prize Pack to explore for the purposes of creating this feature. Information and images sourced from various Procter & Gamble sites & sources. The opinions above are both honest and my own. Prize and shipping are the responsibility of the sponsor. Facebook is not involved in nor responsible for this giveaway in any fashion. I too love Tide! I recently purchased a new type and it was a creamy orange color and it shocked because I was expecting the usual Tide blue! I love my cold water tide! I learned that the they sent help right away! That is awesome! I can't live without Tide! Really.. I use it to wash, I use it for spot treating stains. It's the only kind my husband wants his clothes washed in.. the 3 things that are always in my wash room are Tide, Bounce and Downy.. 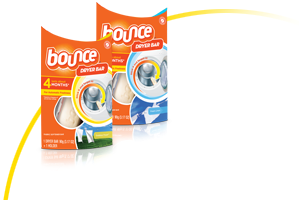 I love Downy, but when im short on time, I love bounce too. Plus I use bounce for lot's of things! hope im doing this direct link right if not let me know.. im still learning.. I can not live with out Tide w/ Febreeze or Tide Sport w/ Febreeze. Stains don't stand a chance nor does funky smells. Usually forgetting about a load of towels in the wash can leave towels forever moldy smelling. Tide can get that smell out and make them smell fresh. With all of the crazy weather we have been having, it is great that Tide is helping with disaster clean up and providing people with clean clothes. Any little bit helps! I think if faced with a disaster being able to put on clean clothes would bring a small sense of normalcy to the chaos. 1 i posted your giveaway on my blog this morning! 2 i posted your giveaway on my blog this morning! 3 i posted your giveaway on my blog this morning! 4 i posted your giveaway on my blog this morning! 5 i posted your giveaway on my blog this morning! I can't live without my Shout stain remover! I learned that The Tide Loads of Hope program provides relief by means of a mobile laundromat. I only use Tide w/Febreeze,love it. I also use the Bounce Dryer Bar,love it. Tide fan - whenever I switch brands because of a sale or coupon always regret it! rIGHT now I love Gain! I love Shout Color Catchers. They really do work. I can't do without the Bounce dryer sheets. They make everything good smelling and fluffy. I love Tide original liquid. No one has a sensitivity to it and it cleans well. One truck and a fleet of vans house over 32 energy-efficient washers and dryers that are capable of cleaning over 300 loads of laundry every day.